FRC students in the Equine and Ranch Management program master many skills during their studies, including care of livestock at branding time. The Feather River College Foundation has received a substantial and generous endowment from the family of Robert F. and Ruth Mathews, longtime ranchers of Sierra County who loved and supported agriculture in this region. The family made the bequest in loving memory of their parents whose legacy is planted in the Northern California agriculture community. The funds are designated for the FRC Agriculture Department. Therefore, the department has established the Matthews Family Scholarship fund to provide annual scholarships to deserving students. Robert Mathews loved the American West and was a rugged cowboy at heart. He traveled as a young man from Missouri to Wyoming and wrangled at ranches during the warm summers where he developed his love of the land. World War II beckoned and Mathews enlisted in the U.S. Air Force as a pilot. When the war ended, he returned to Missouri and worked as a limestone miner. 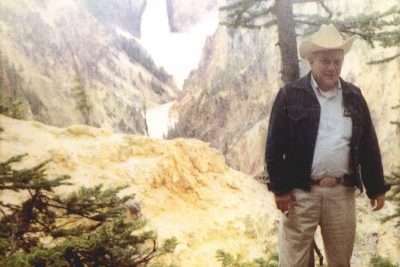 From the 1940s to the ’60s, Mathews mined, but he also purchased registered Hereford cattle, grazing them above the mines that he eventually owned. Not until the early 1970s was Mathews able to move west where he purchased 10,000 acres in California’s Sierra County just above Bordertown. Again, he bought registered Herefords to graze. Mathews’ life out west ended too soon when he died in the late 1970s. He left the ranch to his daughter and son-in-law to manage. 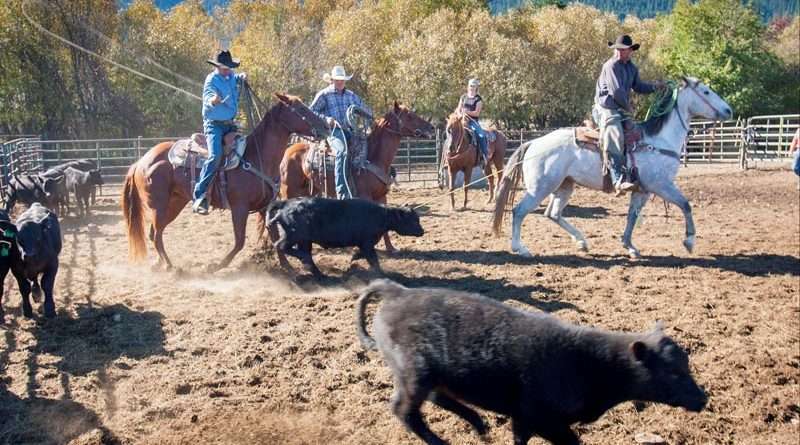 Relocating their family from Arizona, they grew to love Northern California and the ranching community. However, when the urban sprawl of Reno encroached on the once wide-open space of the original ranch, Robert Mathews’ family members sold the property. In 1982, they purchased property in Sierra Valley where they still ranch and farm today, having raised their son and daughter to love the land, too. Coming full circle, Mathews’ grandson and daughter-in-law now ranch alongside their parents. In 2018, when matriarch Ruth Mathews died at the age of 102, the family thought it was the right time to contribute to the local agriculture community by donating to Feather River College’s young agricultural students in the hope that the Mathews family legacy will continue. With thanks and gratitude, we accept the gift and the pledge. The FRC Foundation serves as a liaison between the community and the college, facilitating public contributions and conducting fundraising efforts to help enrich the lives of college students and support FRC programs and events. Beth Reid is the Alumni Coordinator for the Feather River College Foundation.